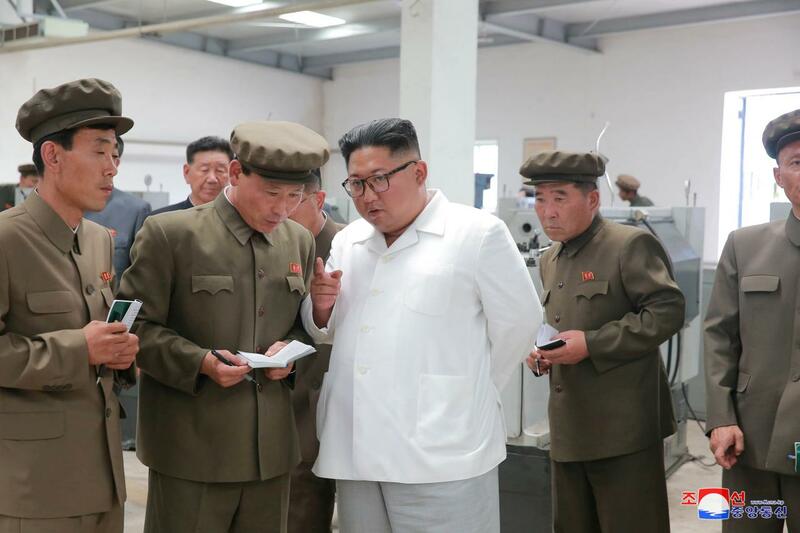 North Korean leader Kim Jong Un gives field guidance during his visit to a machine factory under the Ranam Coal Mining Machine Complex in this undated photo released by North Korea's Korean Central News Agency (KCNA) in Pyongyang on 17 July, 2018. Kim's new vision for North Korea's future as a coal-powered nations that boost its economy and domestic industries albeit the international sanctions. When North Korean leader Kim Jong Un used his New Year speech to highlight coal as a “primary front” in developing the economy, he was making a case for what analysts see as a flawed but key resource on which his country increasingly relies.Coal has long been a major resource for North Korea, and Kim’s call for self sufficiency in the face of international pressure is a recurring theme. But as international sanctions have increased over the past year, coal is one of the few local resources to which Kim can turn as he tries to make good on promises to improve life in a country notorious for limited electricity, analysts and defectors say. Last year Kim declared that his nuclear arsenal was “complete” and vowed to focus on building the economy. South Korea-based analysts and North Korean defectors report that with sanctions still blocking most coal exports, the North has put more of its stockpile to use domestically. “My acquaintances in North Hamgyong province told me... they got power for 14-15 hours a day in 2018, versus 8-10 hours in 2017,” said Kim Young Hui, a defector who now works as an economist at South Korea’s state-run Korea Development Bank. A “highly noticeable” increase in electricity in 2018 compared to the year before has increased power availability for many homes and boosted the operations of factories and trains, said Kang Mi-jin, a defector who now writes about North Korea for the website Daily NK and speaks to sources inside the North. “As Kim Jong Un said in the New Year speech, North Korea will focus on the domestic economy,” she said. “Instead of finding another route to sell coal, they will continue to use it domestically.” But the aging technology is limited in how much it can contribute to the broader economy, analysts said. “Focusing on coal and electricity is a way to survive, and Kim Jong Un is trying hard to make the country a bit more self-sufficient, but (coal is) not enough to turn around the whole economy as long as exports are capped,” economist Kim Young Hui said. A North Korean man sits beside a pile of coal on the bank of the Yalu River in the North Korean town of Sinuiju 16 December 2006. In the New Year speech, Kim Jong Un called for the coal industry to focus on helping power stations “normalize electricity generation without letup.” He noted that output at the country’s largest coal power plant in Pukchang had increased “remarkably” and called for more progress on a “far-reaching plan” to develop tidal, wind and atomic power. Politically and economically isolated and repressed under Kim’s authoritarian regime, North Korea has long suffered from electricity shortages. In recent years, the lack of a reliable power supply led many North Koreans to install cheap household solar panels to charge mobile phones and light their homes. During a reporting trip to Pyongyang in September, multiple North Korean sources told Reuters that more electricity could help make some of Kim’s most prized building projects usable. At some recently constructed high-rise apartment buildings, for example, potential residents fear facing dozens of flights of stairs during power outages. Electricity in North Korea is prioritized for factories or areas of political importance, but people with money or connections are often able to tap power lines illegally. A source who regularly speaks to Pyongyang residents told Reuters that pre-ordering coal for boilers was no longer necessary because it had become more abundant. “People had to book coal early, about two months before running boilers when the weather gets chilly. But thanks to reduced coal exports, it is not hard to buy it anymore after last year. 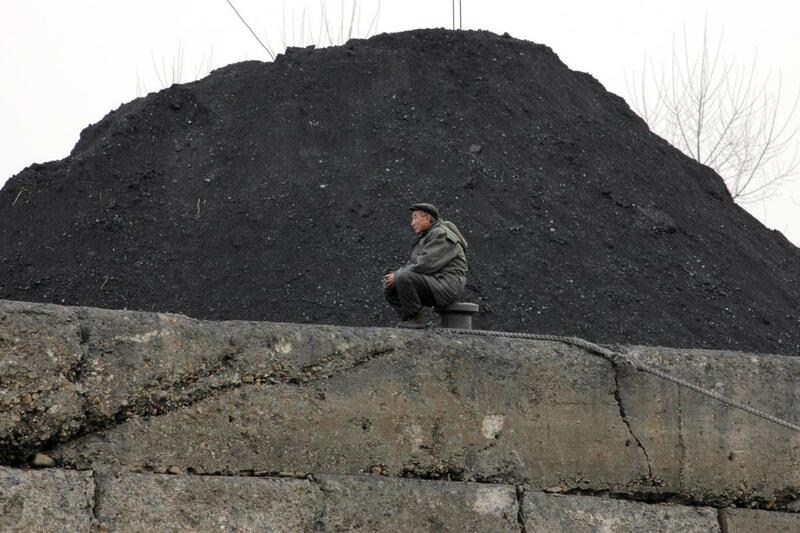 Sanctions have been tougher, but North Koreans can buy coal whenever they want if they have money,” the source said. North Korea generates nearly 50 percent of its electricity from seven coal power plants and one oil-fired plant, and the rest from hydroelectric facilities. Many of its decades-old coal plants were built by the former Soviet Union and China, according to South Korean data.Since 2015 North Korea has been working to convert the oil power plant to coal, according to U.S.-based monitoring group 38 North. In the last year it has added generators to the biggest coal power complex and built a new hydro power plant. A 1994 deal for an international consortium to provide two light-water reactors to North Korea in exchange for its ending some of its weapons-related operations fell through. Since then, the country has been working on an experimental light water reactor. Coal exports to China fell to 4.83 million tonnes in 2017, from more than 20 million tonnes in 2016, according to Chinese data. China says it imported no North Korean coal from January to March 2018. North Korea’s coal production rose from 2013 to 2016, but fell 30 percent to 21.66 million tonnes in 2017 from 2016, according to South Korean government data. Reliable data on North Korea’s reserves is hard to come by, but 2015 BP’s Statistical Review of World Energy reported that North Korea has 600 million tonnes of coal as proven reserves, while South Korea says the North has 20.5 billion tonnes in reserve. North Korea is known to have 4.5 billion tonnes of anthracite, a higher quality of coal, and the rest is lignite, which is mainly suitable for power plants. The North mostly exports anthracite, according to South Korean government data. North Korea has tried unsuccessfully to circumvent sanctions by smuggling coal into China and South Korea, monitors say. “Smuggling coal into China is not easy these days as even bribes for Chinese traders have become more expensive,” said Choi Kyung-soo, head of the North Korea Resources Institute.